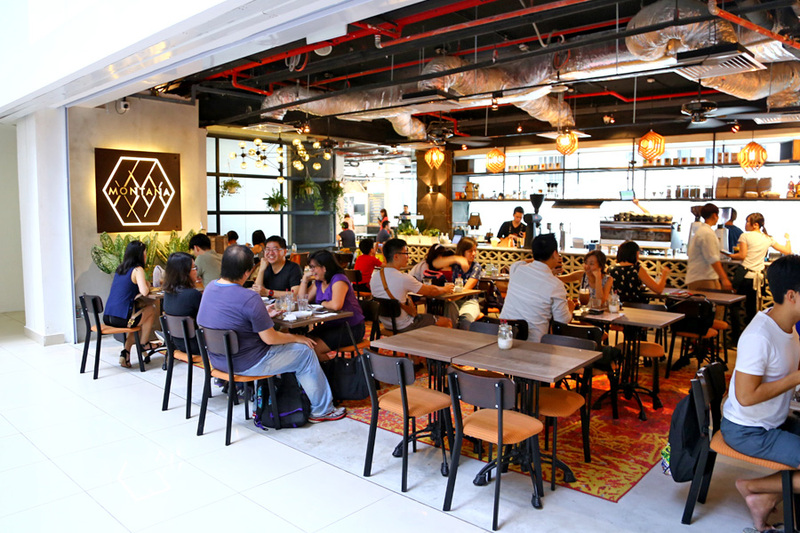 Montana Singapore located at Selegie PoMo has undergone a revamp, moved up to Level Two with a two-story expanded space. Don’t worry, prices are still easy on the pocket. 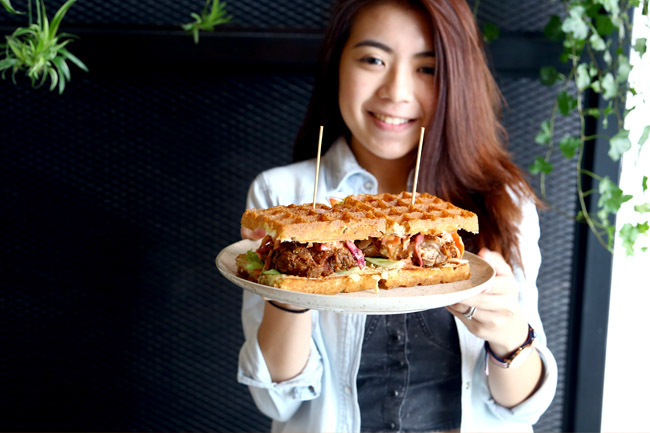 The revamped waffle menu has merged traditional flavours with creative twists – including a Assam Crab Waffle ($18.00) inspired by Chef’s hometown food of Kedah Laksa, and Black Velvet Waffles ($14.00) with a black sesame base that would remind many of wander-lusting in Japan. 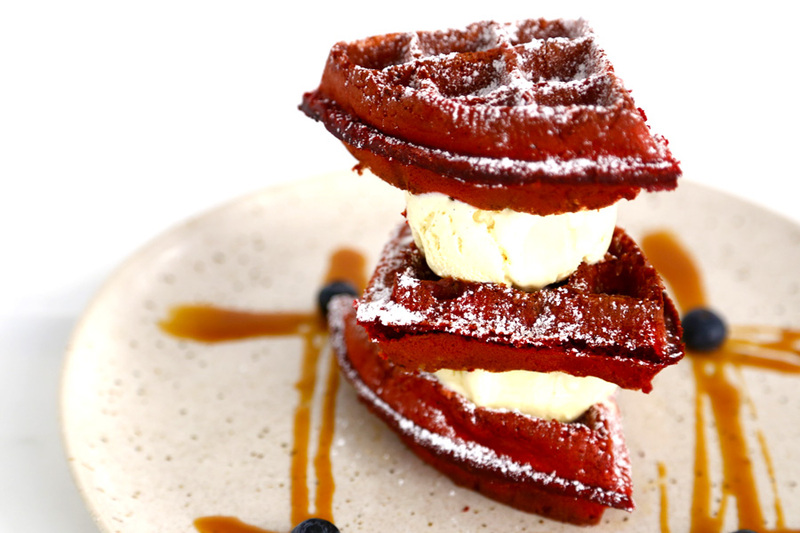 These are 10 Best Waffles From Montana – 5 savouries, 5 sweet. 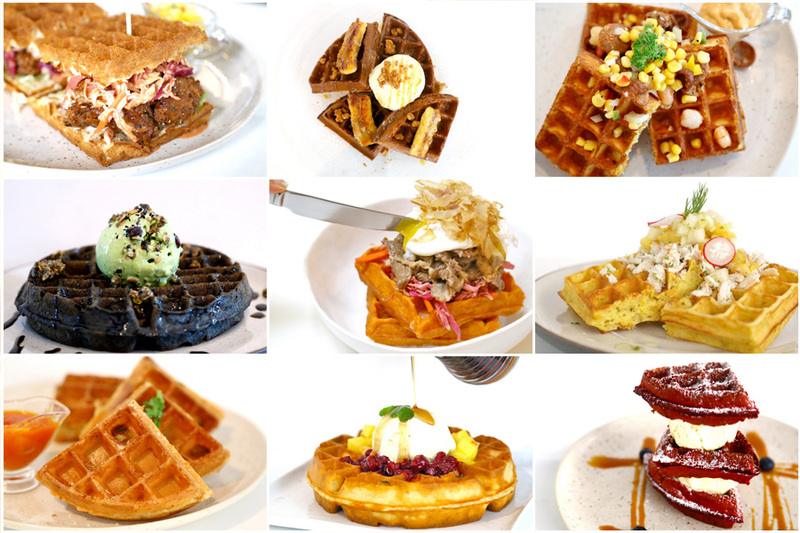 Yes, I went to try ALL 10 WAFFLES as this is what I do – sacrifice my calories for your benefit. LOL. Possibly my favourite of the lot after the revamp. 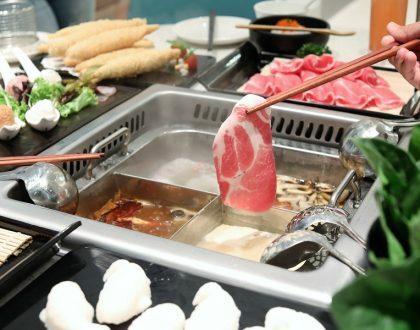 The entire component will spell some familiarity if customers are fans of the Korean bibimbap. This is what Montana will term as a Mashisoyo remake. 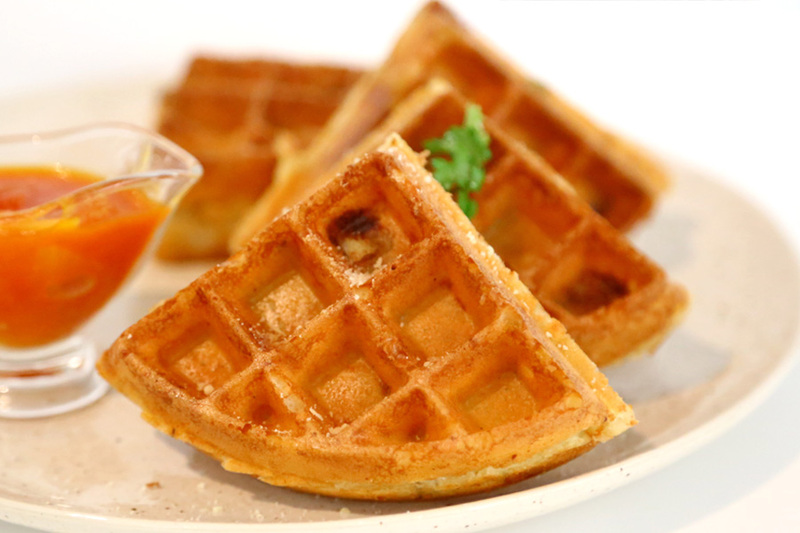 This waffle is inspired by one of the chef’s mother familiar home-style dish of Kedah Laksa. 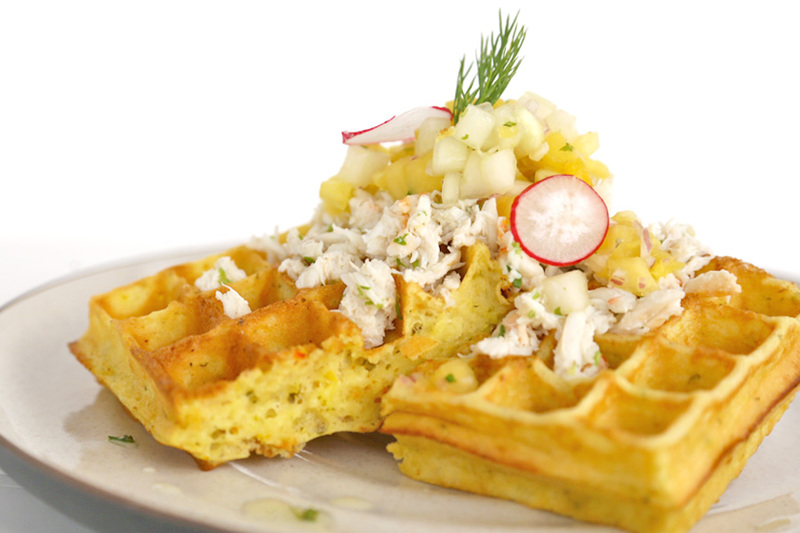 The base is Assam-spiced with a light touch of sweet-tanginess, topped with generous portions of seasoned crab meat and pineapple cucumber salsa. Has huge potential, though needs better consistency in terms of the ‘Assam-ness’ in the base, and the seasoning of the crabs (sometimes it was slightly off). 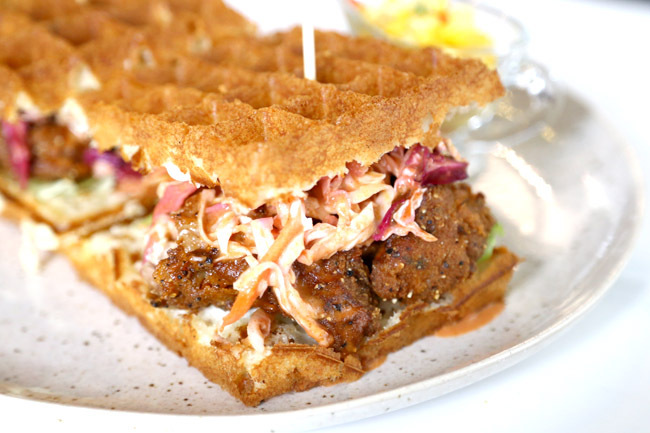 Presented like a waffle-sandwich, with southern-spiced fried chicken and tangy coleslaw in between. 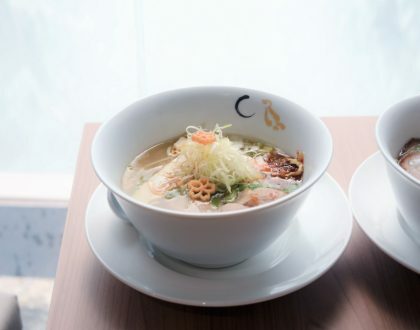 Safe choice, comfort food. 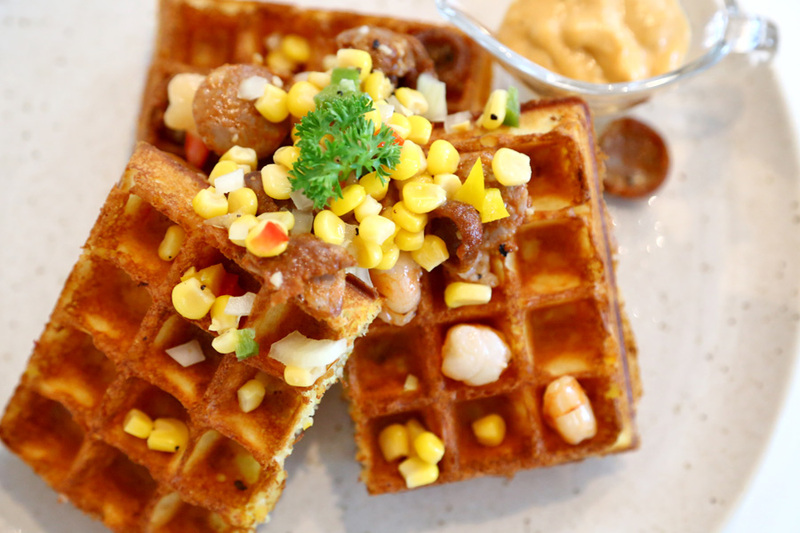 The mac & cheese are presented within the waffles. 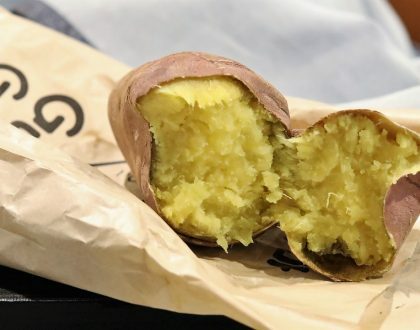 So as you take bites, you would find the inner layers soft and somewhat cheesy. I know right, carb in carb. Minor point: Though I think fans would prefer some more truffle oil. The fact that there is ‘waffle-ised’ paella rice already sounds intriguing, but this was one which we thought sounded better than it tasted. Perhaps we were expecting more Spanish-influences – more spicy, more seafood, more lift in the taste. Plus, the texture of the base was kind of dry. Busy day for the kitchen, I suppose. This waffle has so far been the crowd pleaser. Had it a few times, doesn’t really disappoint. My recommendation: take small bites to savour the faint, soft rose flavour permeating within the waffle. This is Montana’s current “Top Favourite”. 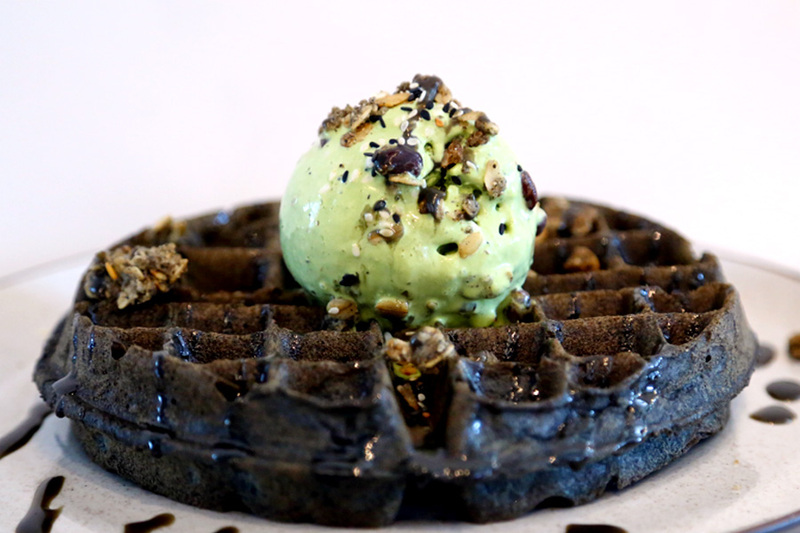 A Japanese inspired waffle, with the base of black sesame, drizzled with black miso caramel. Currently, there are options of black sesame or green tea ice cream. 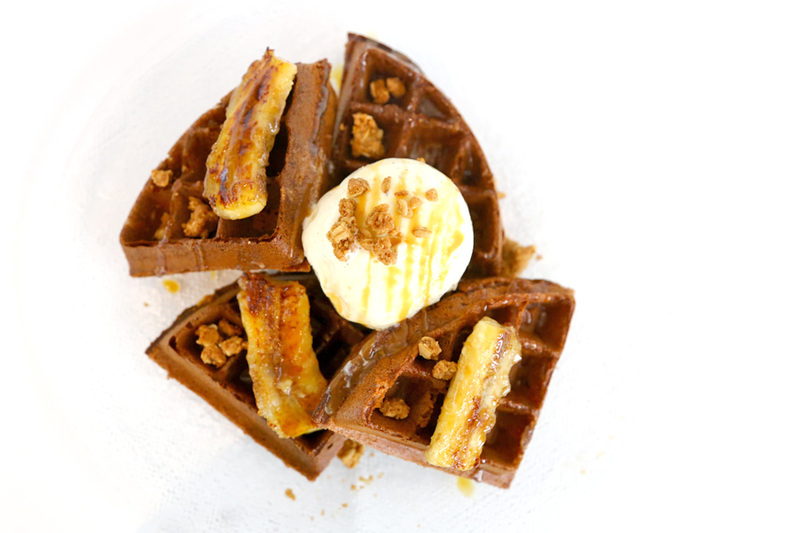 Am more neutral towards this waffle, but would likely be a safe choice to share and kids’ favourite due to its components – chocolate-based waffle, grilled banana, salted caramel sauce, vanilla and home-made granola. 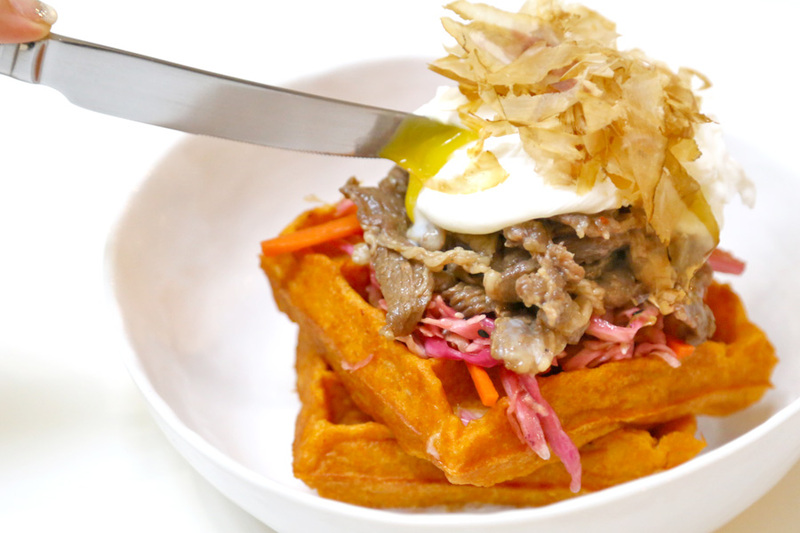 I heard that this waffle has quietly become one of the most popular, despite it not being heavily promoted and having last placement in its menu. 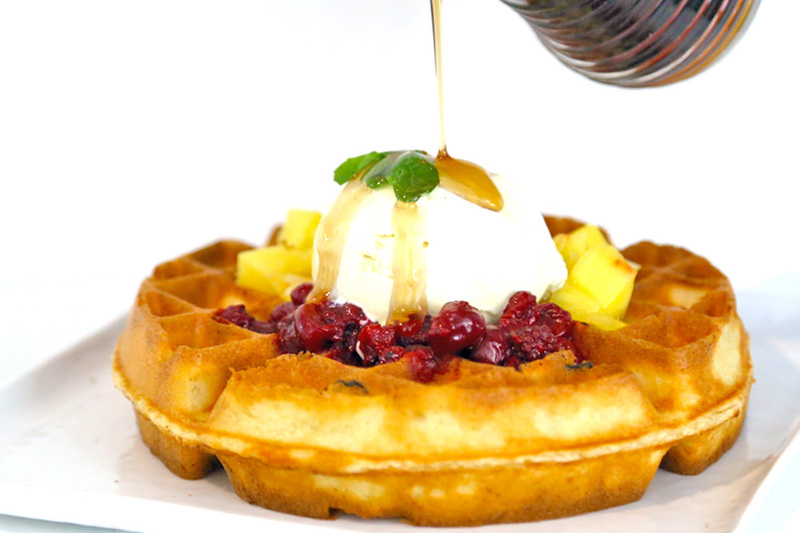 Beyond all the other waffles which are more fanciful, this is a straight-forward plain waffle, added with tangy mango and mixed berry compote. Does not feel that heavy or rich in comparison. I can imagine some of my female friends loving this flavour. Sorry, no photo. Because this is one of the cases where the waffle gets eaten before I take the picture. Haha. The Carrot Cake Waffle is not the instagrammable type, BUT this incorporates the taste of carrot cake, then topped with vanilla ice cream. It’s a waffle. It’s a carrot cake. It’s both. During the weekends, you can also order a Fabulous Dough. 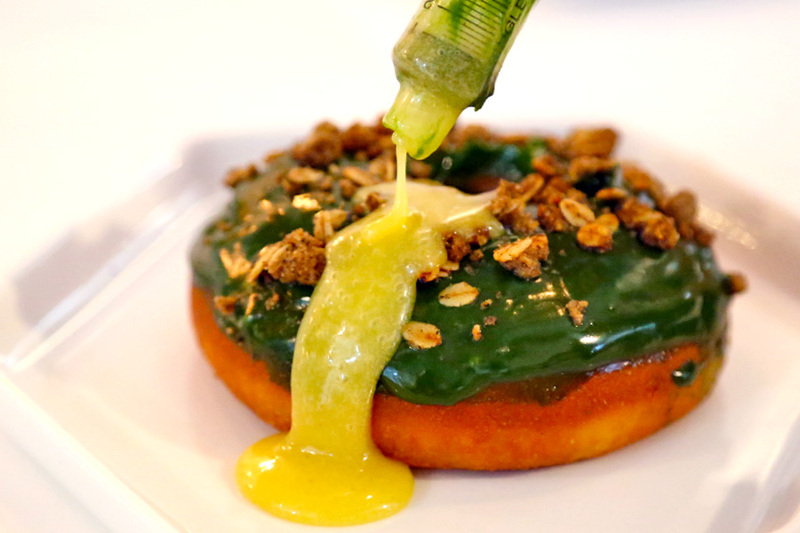 Customers are encouraged to #PimpYourDough, where they can select a donut base, topped with a glaze, topping and fillings (in syringes) to their preference. If not, try the Green Tea Yuzu ($5.50) – a house-made fluffy donut base, covered in a glossy green tea jasmine glaze, topped with black sesame cookie, and ‘pumped’ in with white chocolate cream. 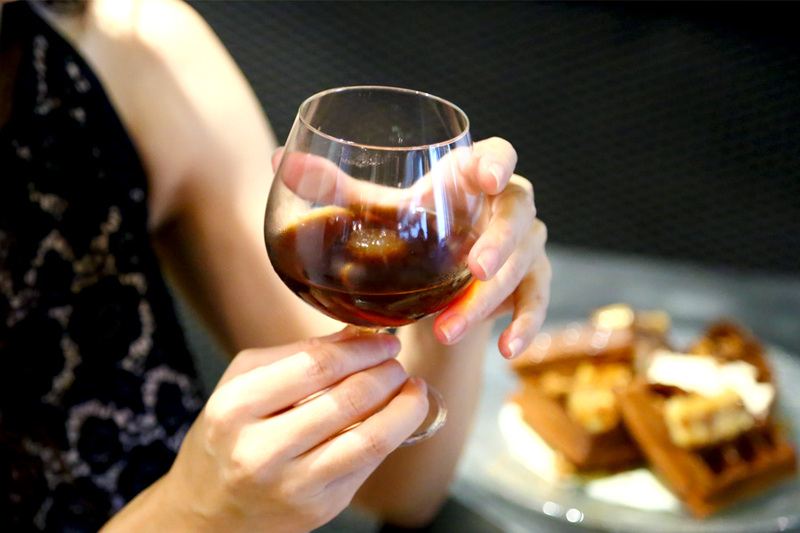 Other than the food, Montana Singapore is also serious about the coffee experience. Coffee is brewed using a Synesso MVP Hydra boosting technology which can create that perfect cup of coffee with complex, balanced flavours. Montana Singapore is also probably the only place in the world to specialise in a niche variety of coconut cold brew drinks. 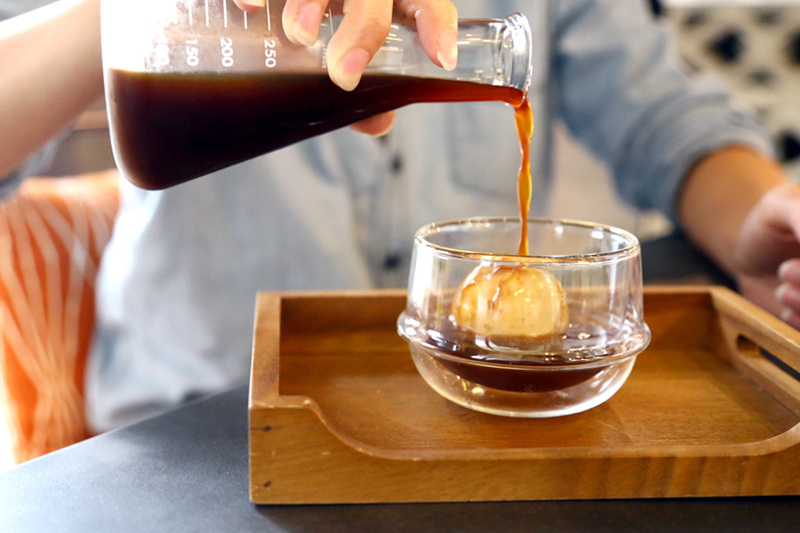 Recommended is the Nitro Coconut Cold Brew ($7.00) – a refreshing coffee beverage with the smooth sweetness of poached coconut with nitro added to amplify flavours in the mouth. I liked the Gula Melaka Brew ($6.80) though some of my friends found the taste clashing. 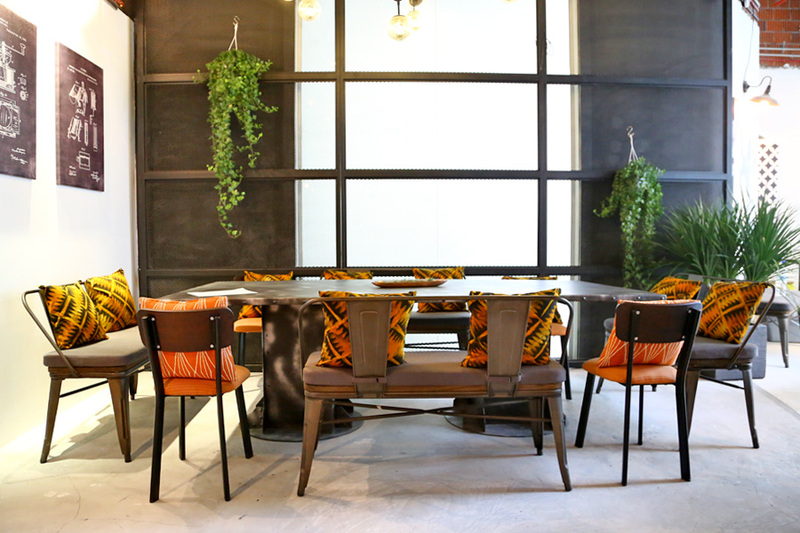 So Montana serves savoury and sweet waffles & coffee; Fabulous Dough – a specialty donut concept offering customisable artisanal flavours during the weekends. If you need some Asian-flavoured and ice cream burgers, South Bronx is downstairs. * This entry is brought to you in partnership with Montana Singapore.